There is a considerable measure of love for cold beer by lovers of beer and beer drinkers during the summer. Although there are few who does not really care, but who cares? If you are reading this blog, then you probably enjoy a cold beer especially when the weather is on the warm side. 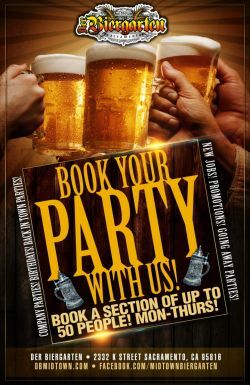 This time Der Biergarten is pleased to announce the availability of frozen beer in our beer garden located in Sacramento. Cool isn’t it? But wouldn’t you prefer to know more about what frozen beer entails? This blog brings to you a fuller detail why you should love frozen beer more. However, if you seem to be knowing about frozen beer just on this premise, it is a big opportunity to join the frozen beer family. Frozen beer is a market definition for pale lager beer brands that have passed through series of freezing procedures. In all cases frozen beer is served with a foam cover. The foam on the beer is served on top at 23° F (-5° C), and it absolutely acts as a core to maintain the beer’s chill for an estimated thirty minutes. The most interesting thing about frozen beer brand is the fact that they possess more alcohol content than most regular pints of beer brands. And generally, frozen beer brands have a low price tag in comparison to other beer brands and relative to the alcohol content. The concept of frozen which sometimes could be sold as “polar pints” originated from a Japanese beer war. Going by the records, a Japanese brewer known as Asahi was the first to conceptualize the idea of frozen beer back then in 2010, as at the time he did that his main focus was to attract young drinkers. To achieve his goal, his company invented a machine similar to the frozen yogurt machine that turns chilled beer into a boozy whip to keep young drinkers glued. Even the foam cover on frozen beer is a concept drawn from the soft-served ice cream. In real essence, the concept maintained the regular beer’s body but replaced the head with the foam cover. As soon as the concept gained public acceptance, it was brought to the districts of Tokyo where frozen beer eventually became the drinker’s favorite. Kirin who happened to be a Japanese beer-maker caught the trend to create a dark and light shades of the frozen beer. And ever since then frozen beer has been the order of the day in over 7,500 restaurants in Japan. With these other top brewers in Seoul, Paris, and Los Angeles joined the train of Frozen beer technology. So, if you are in Sacramento, there is a lot more to explore. Get yourself down to Der Biergarten to enjoy the experience that comes with frozen beer. We are of a surety you will love it. Trust us. 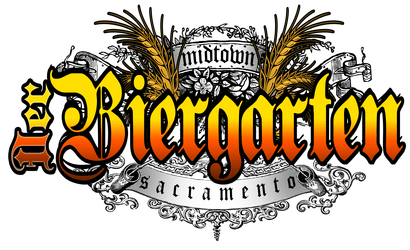 Sacramento’s Beer Garden known as Der Biergarten is a unique place, one of a kind, a great place to hang out and socialize. Here is what you will find at this great spot. Der Biergarten is uniquely German; you can get some of the best German beers as well as light German fare. 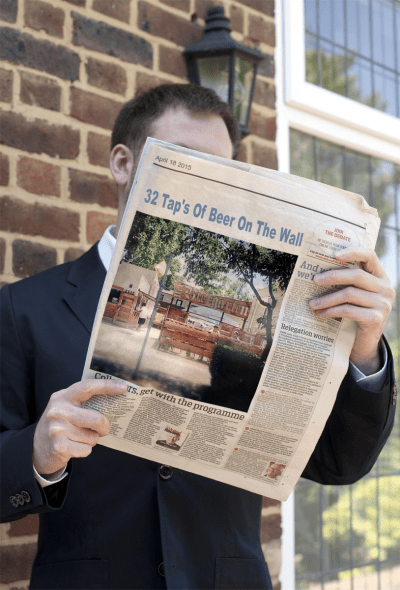 The spot offers a German menu with 32 beers on draft, and German traditional cuisine all while you relax in one of Midtown Sacramento’s best beer destinations. This is the place that you will find the most German beers in Northern California. 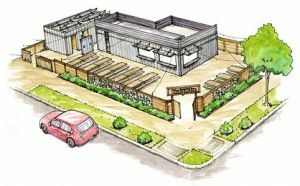 This is a place where you’ll have a chance to socialize over some great beer and food, enjoying the sunlight by day and counting the stars at night. It’s a spot that has a natural environment, a cool place where you can down your drinks as you chat with your friends. Enjoy the fresh air, watch the sunset and count the stars as you sip your favorite German drink. It’s a true definition of outdoor dining and entertainment. When you want to have a good chat with your friends, this is the joint of choice; it has no television, music or dance floor. It’s a place where you can have a good time without having to shout at the top of your lungs in competition with blaring music. You won’t be interrupted by television ads or programs; it will be all beer, food and wonderful socialization. You’ll have a wonderful time sitting with friends, playing a game and socializing; the atmosphere is so good, you’re sure to love it. Der Biergarten is not just human-friendly; you are allowed to bring your dog. There are no restrictions; you can enjoy your German beer while in the company of your pet friend. You don’t have to leave your lovely pet in the house unattended or in the car; this is a cool place to hang out with friends and lovely pets too. Another first at the Der Biergarten, it was the first cargo container structure built to be used as a business in Sacramento, CA. 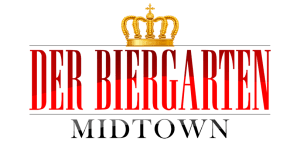 If you’re looking for real fun and excitement while you play games, the best German beer and food as well as a wonderful and cool atmosphere, Der Biergarten fits the bill! 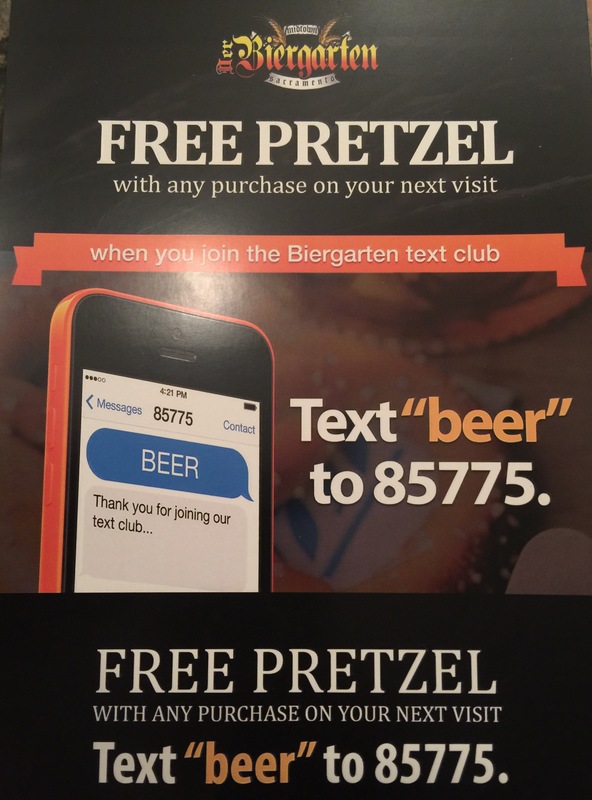 Every Thursday Night Der Biergarten hosts the Beer Glass giveaway where you can keep the glass for just 25 cents more. This event does not happen in the wintertime.